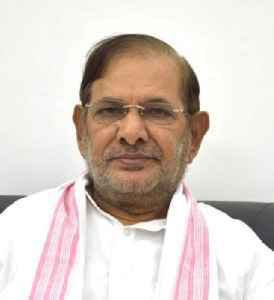 Sharad Yadav is a politician from the Loktantrik Janata Dal party. He has been elected to Lok Sabha seven times and to Rajya Sabha thrice from JD(U). He was the national president of Janata Dal (United) since its formation till year 2016. He was disqualified from Rajya Sabha and removed from party leadership positions for engaging in anti-party activities. He also has been removed from the post of president of JD(U).